Does the rain have you singing the blues? Here are four quick and easy ways to help you make rainy days your very best days! Joe, Evan and Aaron made a HUGE difference in a year! In their first year at DryZone, they helped a combined 372 homeowners protect their homes! Hydrostatic Pressure - The Who, What, When, Where and Why of it All! When it begins to rain, people start saying big words like hydrostatic pressure. What does that even mean? How does it impact me and what can I do about it? In this installation of our weekly Facebook Live show, Grace and Amy will discuss how easily sinking concrete slab can be repaired by using PolyLevel. In this installation of our weekly Facebook Live show, Martin and Amy will discuss the fact that service is available to all of our DryZone installed homeowners. Sure, maybe your team didn't win, or maybe it did. Either way, you want a bigger, better super bowl party experience next year, and this is how to go about it! Team DryZone got to be a part of the Milton Christmas Parade. Bill Anderson, the owner of DryZone knows that finding the right people to make up his team is important for the company and the homeowners we serve. In 2017, we had several team members go above and beyond the call of duty for our homeowners and co-workers. What does a Box of Cereal and the Earthquake have to do with YOUR Home? It is Book Lover's Day! 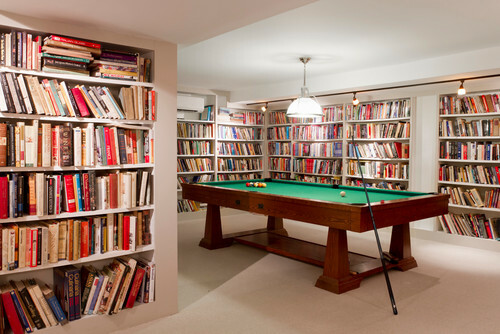 To celebrate we will be sharing ways that having a library in your basement can help you transform your professional, personal and family life! The Cape Gazette shares DryZone's support for Habitat for Humanity in a recent article. Life can be overwhelming sometimes. Sometimes you just need to know that there are companies that care about you and for you. DryZone is one of those companies! DryZone hosted a fundraiser for Sussex County Habitat for Humanity. This is another way that DryZone helps to make an impact on the community in which we live.